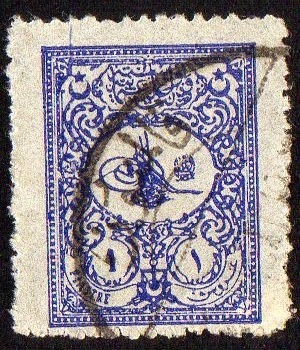 Series from 1892/1898 "Arms and Tughra of Sultan Abdul Hamid II (Various Frames)"
I already talked , and I will talk again about Tughra's... but what is a Tughra?? 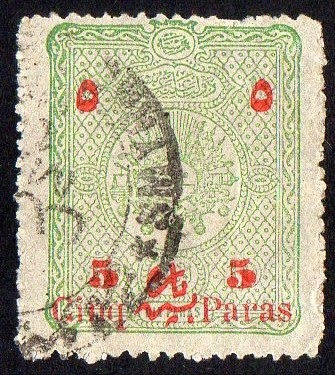 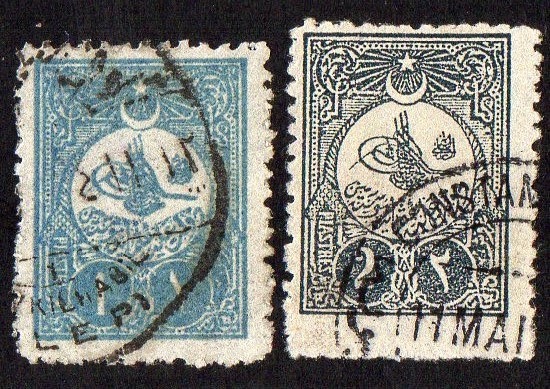 stamps from the series (10) 1908 "Crescent Moon & Star over Sultan's Tughra"
[Left] Complete series "5pa Surcharge on 1892 10pa 'Arms and Tughra of Sultan Abdul Hamid II (Various frames)' 1897"
[Right] I did not detected the blue overprint in a first look to this stamp..
this is a stamp from a series (5) 1909.. it is a stamp projected to external mail... in a time when Turkey Post Office had a ferocious competition from foreign Office's in Turkey (British, French, German,etc) , this Overprint offer's the merchants and Exporter company's a special discount , to improve the use of National stamps. 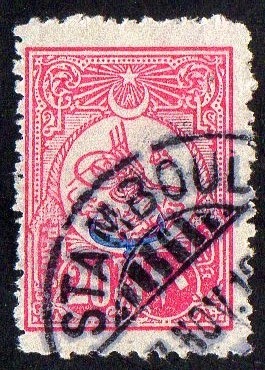 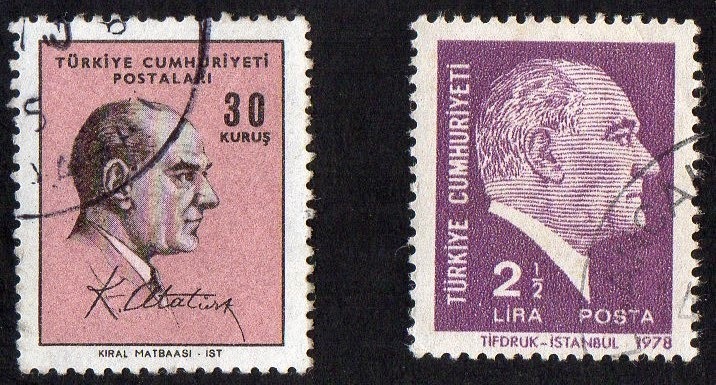 from a series (8) 1901 "Sultan Abdul Hamid II Tughra (Foreign Mail)"
1st) from a series (5) 1966 "Kemal Ataturk"
2nd) from a series (7) 1978 "Kemal Ataturk"
[Left] 1) series (5) 2006 "Kemal Ataturk"
2) Complete series 2007 "Kemal Ataturk"
3) series (4) 2008 "Kemal Ataturk"
[Right] from a series (13) 2009 "Mustafa Kemal Attaturk Commemoration"